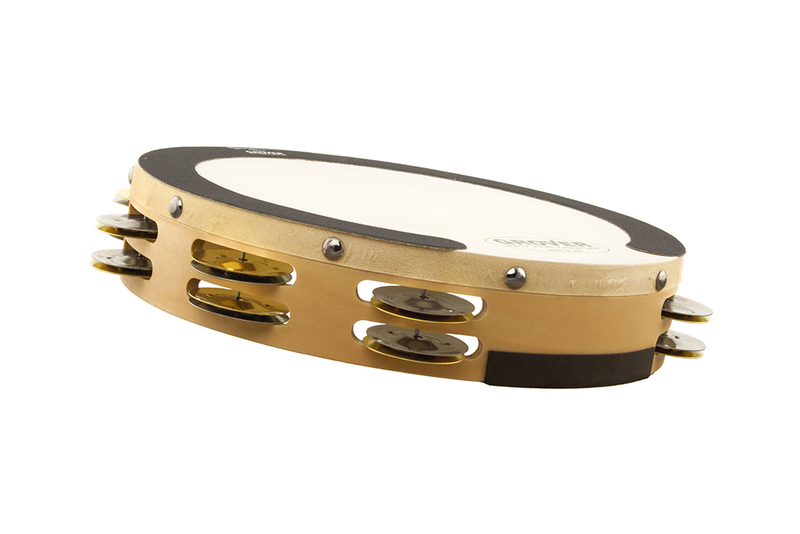 SV Tambourine – Silver/Brass Our Sound Values™ Tambourine is specifically designed for schools and percussionists who demand a quality product at a reasonable price. Our SV™ Tambourine features an 8-ply Maple shell, quality stamped German Silver and Brass jingles, a natural skin head, and Grover exclusive dual-size jingle slots. This double-row tambourine is ten inches in diameter and has a clear-coat protective finish.